EPW052002 ENGLAND (1936). West Street and environs showing building clearance in advance of new road construction, Leeds, 1936. This image has been produced from a damaged negative. 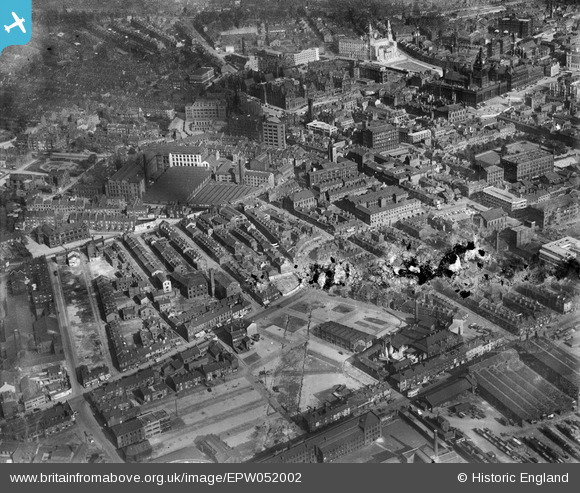 Title [EPW052002] West Street and environs showing building clearance in advance of new road construction, Leeds, 1936. This image has been produced from a damaged negative.